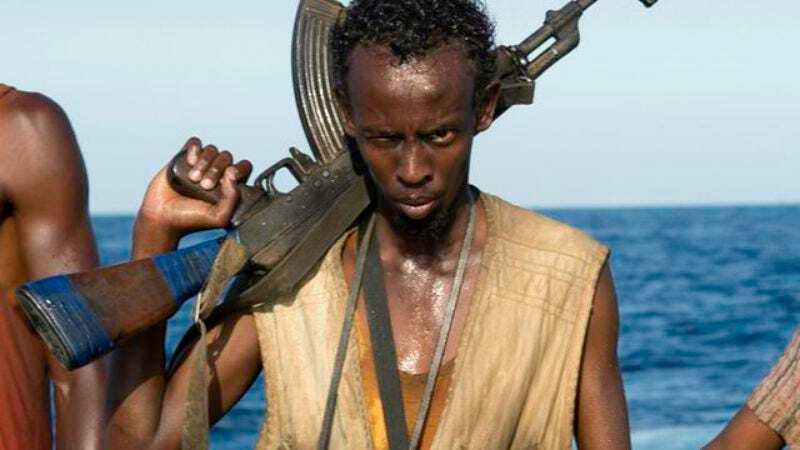 By exposing that life as a Somali pirate isn’t as fun as it seems from the outside (and nailing the delivery of one ad-libbed line in particular), Barkhad Abdi made quite an impression opposite Tom Hanks in Captain Phillips. Unfortunately, the movie industry being what it is, Abdi landed on some hard times after the movie came out and found himself effectively broke. Things seem to be working out better for him now at least, because The Hollywood Reporter says that Abdi has signed on to join director Denis Villeneuve’s Blade Runner sequel. We don’t know who Abdi will be playing, but he’ll be appearing alongside Ryan Gosling, Robin Wright, and Harrison Ford, with Ford reprising his role as Rick Deckard. That’s assuming, of course, that Abdi doesn’t just march up to Ford and say “I am the Deckard now,” thereby stealing the role from him. He probably won’t do that, though, because it’s a stupid joke that isn’t even a little bit funny.